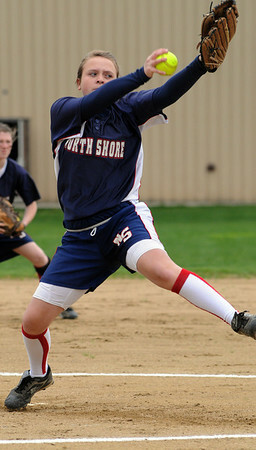 North Shore Tech/Essex Aggie pitcher, Amanda Lucey, winds up for the pitch at the North Shore Tech/Essex Aggie softball game vs. Mystic Valley. Photo by Ken Yuszkus/Salem News, Monday, May 9, 2011.